Here at Audi Traverse City, Serving Houghton Lake, Manistee, Grayling, Kalkaska and Cadillac MI, We are Here to Help! Pretty much any car dealership can talk about its wide selection of vehicles, and standout customer service, but we live it in our showroom here in Traverse City. You can find a multitude of new and used Audi models, along with a full service center, and get all the details on any vehicle that grabs your attention, thanks to our team that guides you through the process, encourages browsing and asking questions, so you can learn and make a smart, and informed decision about your next new ride. That, and much more separates us here at Audi Traverse City from the rest, and it's why we're the place to go! 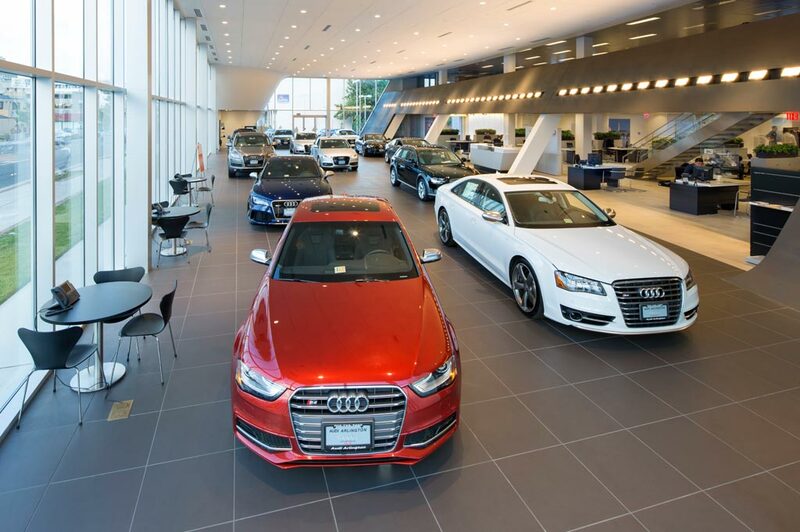 The first thing you'll notice when you step into the Audi Traverse City showroom is an amazing selection of new Audi models to choose from, including the Q7, Q5, A5, A6, A4, and even the new Audi RS 5. We carry a wide range of models that make cruising Traverse City, Houghton Lake, Manistee, Grayling, Kalkaska and Cadillac MI a more enjoyable experience, and a test drive is never more than an inquiry away, meaning you can learn more about any more you're interested in with ease. Once you've had a look at the latest offerings from Audi, you'll definitely want to check out our selection of used cars as well. We work tirelessly to maintain a selection of yesteryear's brightest Audi gems, ensuring you drive off in a used car that saves you money and performs admirably, no matter where in Traverse City, Houghton Lake, Manistee, Grayling, Kalkaska or Cadillac MI you take it. Once you find the perfect vehicle, you will likely need a low interest finance rate to drive it home with complete confidence. Fortunately, the team at Audi Traverse City is here to help. Our financing team is knowledgeable of the automotive loan and lease process and can help you find and secure a low interest rate on a new or pre-owned model. No matter what vehicle you're driving--or will be driving--we can assist you in ensuring that your car or SUV enjoys a long and healthy lifespan. Our full-service dealership offers a well-stocked inventory of auto parts and accessories designed to optimally fit your exact vehicle. Filters, caps, tires, wheels, wiper blades, seat covers, and a whole lot more, all at your fingertips. Don't forget to look through available parts coupons and special offers--you could save money on performance parts, lifestyle accessories, and replacement parts. If you're not a fan of elbow grease and getting your hands dirty, you can entrust the care and maintenance of your Q7, Q5, A5, A6 or A4 to the expert technicians at our Traverse City service center. Schedule appointments online or by phone to take care of oil changes, tire rotations, wheel alignment, brake service, battery repair, and other essential car services, all in one convenient place. Now, that's just scratching the surface of all we have to offers drivers around Houghton Lake, Manistee, Grayling, Kalkaska and Cadillac MI! Don’t just take our word for it, though. Instead, make it a point to visit Audi Traverse City in Traverse City to learn more about our plethora of automotive services today! Audi Traverse City in Traverse City, MI treats the needs of each individual customer with paramount concern. We know that you have high expectations, and as a car dealer we enjoy the challenge of meeting and exceeding those standards each and every time. Allow us to demonstrate our commitment to excellence! Our experienced sales staff is eager to share its knowledge and enthusiasm with you. We encourage you to browse our online inventory, schedule a test drive and investigate financing options. You can also request more information about a vehicle using our online form or by calling 231-486-0875.